How do the horses react on the new horse mat system? How big are the savings on bedding and working time? How big is the cost advantage through rubber mats in looseboxes? 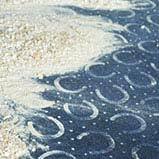 How do horses accept the rubber flooring with little bedding? How does the lying behaviour develop? Which deformation and littering height do the loosebox systems show? 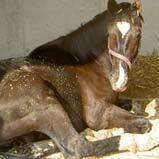 This study dealed with loosebox management and compared the commonly practiced full bed system to rubber mats. The questions were: working hours for maintenance of the loose box, savings on bedding and cost advantage as well as air quality and hygiene.